We've had a lot of drama over the past few weeks. You can tell it's March. In like a lion, and out like lamb. The saying is supposed to be about the weather, but really it's about the amount of drama in the typical middle schooler's life. When I'm not meeting with 8th graders and their parents to talk about high school, I have been putting out drama fires. She said this. He did that. So-and-so stopped sitting by me at lunch. Can you believe what that person posted online?! 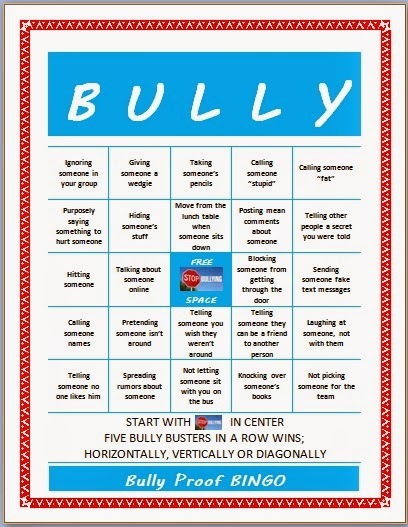 With all the drama, I put together a BINGO game. My kids love BINGO. . .all kinds of BINGO. 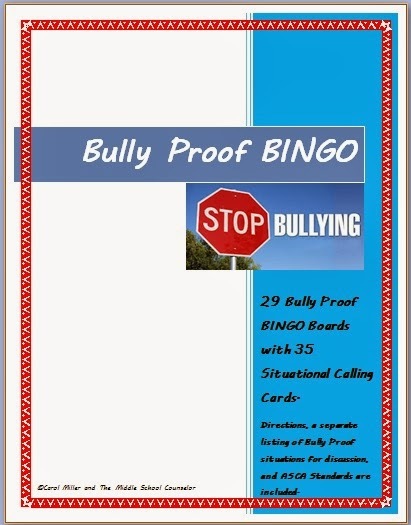 So, here it is. . .Bully Free BINGO! We're playing at Lunch Bunch. 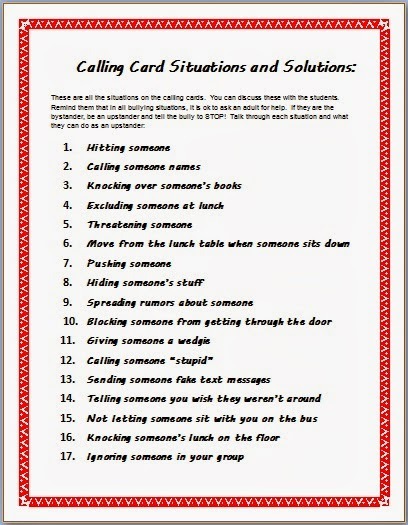 As each situation is called, the kids share their experiences about a time they were in that situation and then we brainstorm ways to deal with it in the future. Winning a piece of candy at the end is fun too! 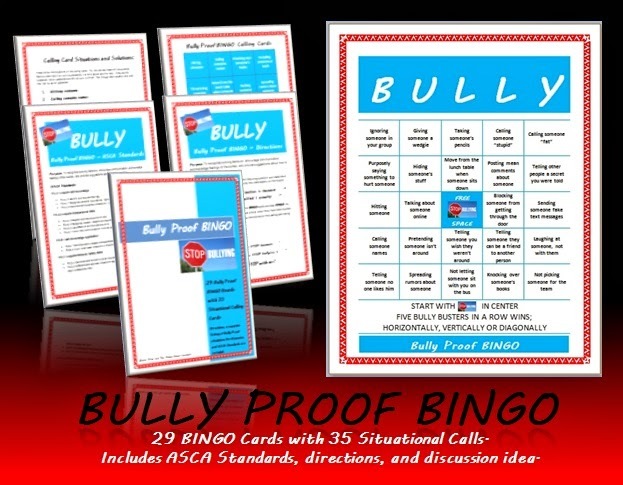 You can download Bully Proof BINGO on my TpT Store. Other projects we are working on at Lunch Bunch include our Mean Stinks video project. We are now more than half way finished. When I started this project, I wouldn't have guessed that 3 1/2 minutes would take months to film. It has, but I am still as excited today as I was months ago. Can't wait to show everyone the finished product. What are you working on? Let me know.